Duck Dynasty stars will be among the highlighted acts at this year’s Alaska State Fair, officials announced Wednesday. Phil Robertson and other members of the show will headline the concert venue August 30, fair marketing director Dean Phipps said. The family patriarch was briefly suspended by A&E last year after GQ magazine quoted him declaring that gays are sinners and African Americans were happy under Jim Crow laws establishing segregation. 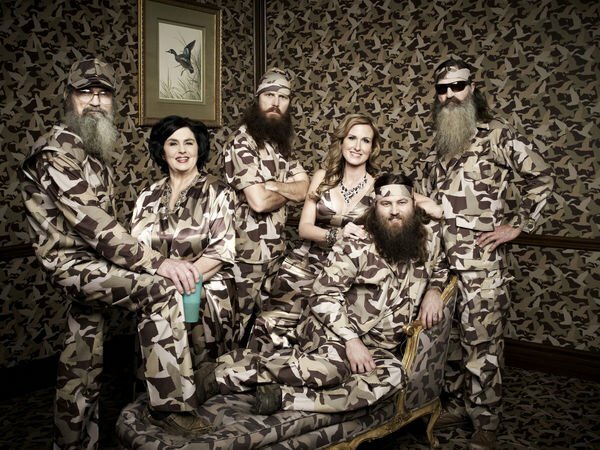 Supporters of Phil Robertson’s right to voice his opinions flocked to his defense before the network reinstated him. The fair is not making a statement in booking the family, Dean Phipps said. “Us having them at the fair is not an endorsement of those opinions. But it’s a reflection of the popularity of the show with a lot of Alaskans who would want us to have them here,” he said. Public opinion was running about 50-50 on the fair’s Facebook site after the act was announced, Dean Phipps said. Some people stopped in at fair headquarters to buy memberships that would allow them to purchase tickets to the show before they go on sale to the general public. “We’re the Alaska State Fair, which means we represent all Alaskans, and if there’s anything that all Alaskans have it’s an opinion – and it’s all not the same,” Dean Phipps said. The fair does not book rap acts that promote violence or crime, he said. But when it comes to something more “subjective” like booking members of the Duck Dynasty cast, people can decide whether to attend the event, Dean Phipps said. “We’re not requiring people to go to the show. It’s not something that’s right there at the gate when you walk in. You have to actually make a choice to go,” he said. The Alaska State Fair, which runs from August 21-September 1 at the fairgrounds in Palmer, also announced that country singer Brett Eldredge will perform August 27. Previously announced acts include Seether, Thompson Square, Tesla, Three Days Grace and Pentatonix. More acts will be announced later.